ACA is viewed as a personal family office air charter company. One very important part of the family office is travel arrangements. Within Family Office travel there may be a private aviation division, a travel / trip counselor or just a principal employee or family member who helps with these needs when required. These duties should not be taken lightly as the family members’ lives are at stake every time they travel. Sometimes the Family Office even has their own family aircraft depending on how much travel they require. The Private Jets and Helicopters arrangements for Family office must be taken seriously and safety should be the number one priority. Our team work to assist with Family Office private jet charter needs, along with assisting when a family owned aircraft has scheduled maintenance or a mechanical problem. We can also be called upon when a family office desires to buy an aircraft or sell their current aircraft. We’ve also helped local companies in the South Florida area create an aviation strategy for their company. This allows them to maximize time and resources, and meet face-to-face instead of phone conference. 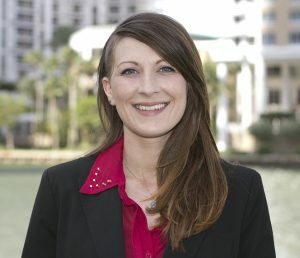 Jessica Heinecker is a property manager for a South Florida real-estate group, and has used our services to save time and hassles compared to commercial travel. “Air Charter Advisors helps me get to and from meetings across the Southeast, all in the same day. My company is based in South Florida, but we have properties in Northern Florida, Georgia and the Carolinas, and we’re continuing to expand. Being able to walk up to my plane and take off within minutes is vital, especially with properties hundreds of miles apart. I can schedule my day around my flight instead of the other way around, and I’m able to maximize my time in any location without having to dedicate half of my day to airport security. Whether or not you require family office private jet on a regular schedule, or a minimum requirement, it is your responsibility to have not only travel covered, but an emergency response plan in case of accidents, medical transportation, meetings, and disaster relocation. Don’t hesitate to contact us for Family Office Aviation Support. We are available for you 24/7/365.